Beneath the crisp clear air of the world's surface lie dungeons, deep and cold, where stone passages lead to hidden chambers filled with treasure and wealth. In dungeons are the lost chambers of other worlds; where mysteries belie the truth of past labors. But the shadows hide monsters both foul and fair. Creatures who feast upon the unwary stalk these chambers and the undead are ever present. However, it is in dungeons that adventurers most frequently find -- reward. Gold, glory, fame and more lie in the forgotten tombs of dead kings, in wizard's mazes or the warrior's stronghold. Since the advent of fantasy gaming, dungeons have been a mainstay at any gamer's table. They offer quick adventure with little need for backdrop or story and capture the mood and essence of adventuring. Building dungeons can however, be time consuming and difficult. Frequently, dungeons are thrown together haphazardly creating transparent adventures that savvy players pick up on all too quickly. 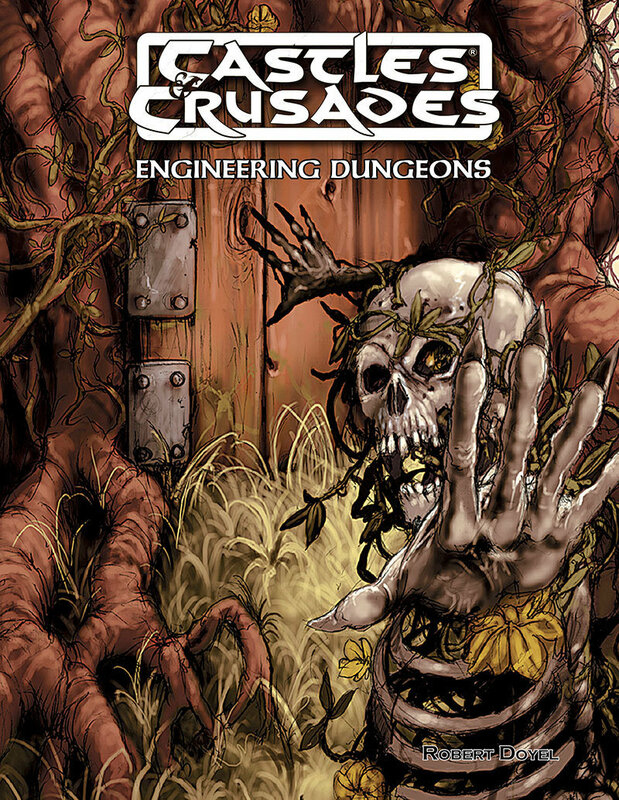 Engineering Dungeons brings the wearied Castle Keeper the tools to entice the imagination, to create from scratch, a varied array of dungeoneering experiences. Here you will find the means to determine monsters, their treasures, their lairs . . . who, where, and why a dungeon exists, as well as atmospheric aspects of the dungeon environment, such as light, odors, and extreme temperatures. Traps engineered to challenge even the bravest and most cunning are waiting -- and so is adventure.